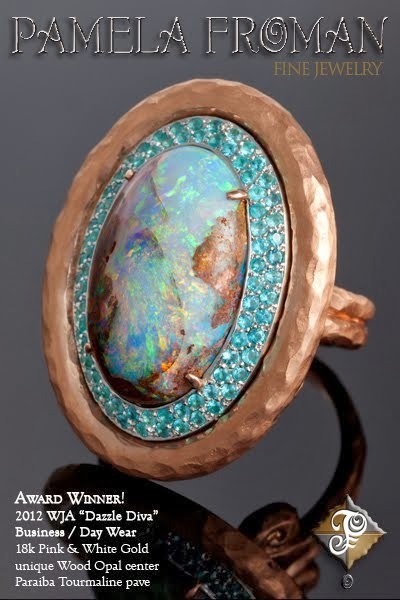 Pamela Froman has been identified as one of this year's best new fine jewelry designers! 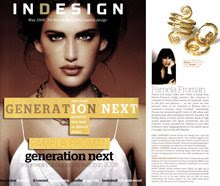 InDesign Magazine's May 2008 issue arrived in the mail today, featuring a story called "Generation Next: 10 jewlery designers to watch in 2008." 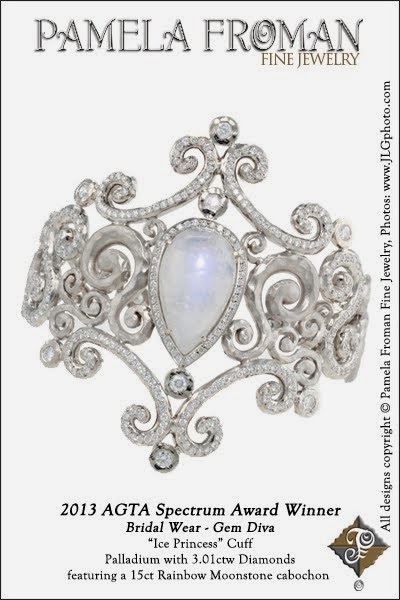 These 10 Designers, of which Pamela Froman is one, were selected by a panel of top fine jewelry retailers and industry experts. According to InDesign's contributing editor Beth Bernstein, these panelists are like baseball scouts searching for the next Babe Ruth; they are continually on the hunt for emerging heavy hitters of jewelry design. 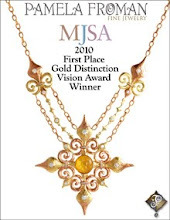 Texture and unique mixes (and colors) of metals form Pamela Froman's design aesthetic. Her collection is comprised of limited edition pieces and handmade chains in [18k gold] 22k gold and platinum -- no two pieces are ever identical. Most of the collection is finished with a hammered technique called "Crushed." 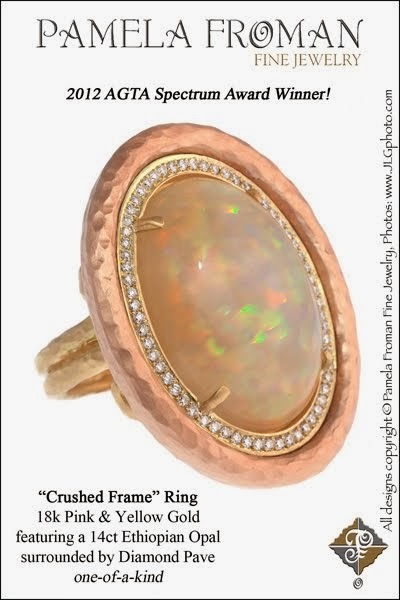 Additionally, Froman has developed specific colors of 18k yellow, pink and green gold, often blending all three into one piece. The flowing nature of scrolls and the inherent beauty of high quality gemstones also figure prominently into her collection. 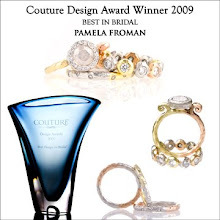 Froman launched her collection in 2004 after working in Paris, designing jewelry for top fashion salons Courreges, Guy Laroche, and Valentino. 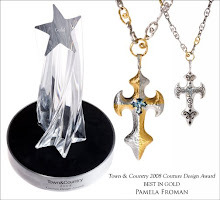 Pamela Froman has already done a good job with marketing her collection with her "Get Crushed" slogan for her unique hammering and satin finish. Her collection is memorable and daring, yet also extremely wearable. The pieces are equally appealing to classic or cutting edge customers due to the master craftsmanship. Pamela has literally reinvented tri-color gold. Her innovative process for combining yellow, [green,] white and rose gold produces intriguing pieces that are truly unlike anything else on the market. 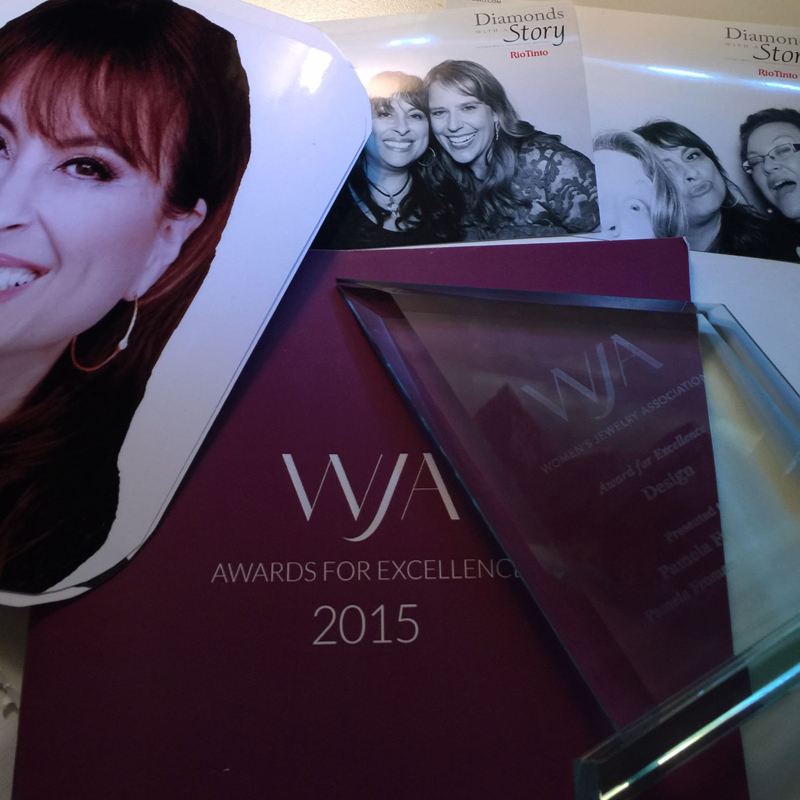 Pamela doesn't overlap with any other designers. Her hand hammered technique is completely different and unique to her. 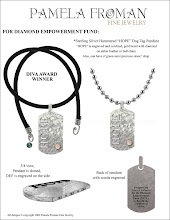 These pieces are extremely versatile and can be worn every day and for any occasion. 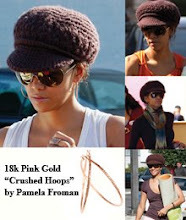 Pamela Froman's pieces display the right mix of texture and gold techniques -- interesting and wearable without being overdone. There are other lines out there that use hammered and satin finishes, but not in the same refined way and with the same craftsmanship that Pamela displays. Yet, what makes these pieces saleable is that they aren't over the customer's head.